Decorate your everyday objects with these Smurfs stickers. Board of 180 stickers (4 boards of 45 stickers) on the theme of the Smurfs: Back to School. 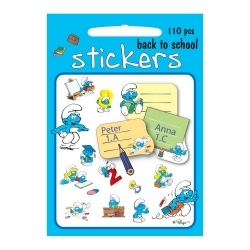 Decorate your everyday objects with these Smurfs stickers. Board of 180 stickers (4 boards of 45 stickers) on the theme of the Smurfs: Babies. Decorate your everyday objects with these Smurfs stickers. 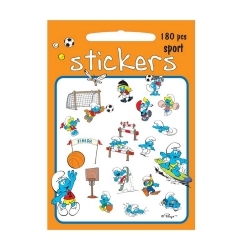 Board of 180 stickers (4 boards of 45 stickers) on the theme of the Smurfs: Sports. 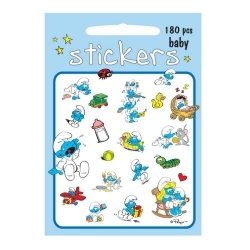 Decorate your everyday objects with these Smurfs stickers. 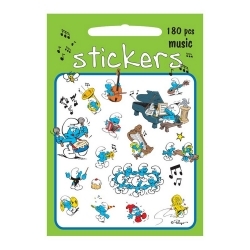 Board of 180 stickers (4 boards of 45 stickers) on the theme of the Smurfs: Music.